Super Savings Item! 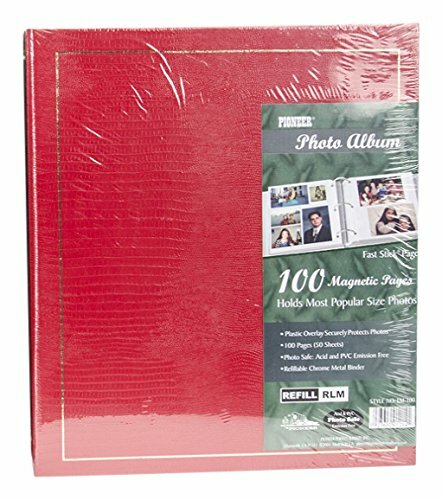 Save 36% on the Pioneer LM100 Binder Magnetic 3-ring Photo Album 100-page , Pack of 1 by Pioneer at Wow In The Details. MPN: PIOLM100. Hurry! Limited time offer. Offer valid only while supplies last. PIONEER-Refillable chrome 3-ring binder measures 10''x11-1/2''. Includes 100 clear plastic overlay magnetic pages. Needs no glue on the corners. PIONEER-Refillable chrome 3-ring binder measures 10"x11-1/2". Includes 100 clear plastic overlay magnetic pages. Needs no glue on the corners. Contains no PVC. Comes in a variety of colors. No guarantee what color you may receive. If you have any questions about this product by Pioneer, contact us by completing and submitting the form below. If you are looking for a specif part number, please include it with your message.